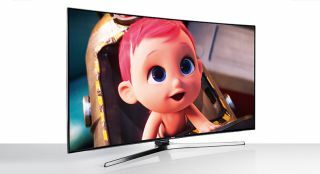 Samsung ramps up curved TV production, despite Sony and LG killing off theirs | What Hi-Fi? Samsung has announced it will launch 22 curved TVs this year, despite its rivals Sony and LG dropping their curved sets. LG and Sony may have decided to end production of curved TVs, but Samsung remains committed to them. The South Korean firm will launch no fewer than 22 curved TVs worldwide in 2017, ET News reports (via The Verge) - up from the ten it announced last year. According to ET News, Samsung's curved sets will all be 65in or bigger, so the firm is positioning them as premium products. Samsung is also planning to include at least one curved set in its new QLED range. In contrast, Sony and LG both announced last month that they would no longer produce curved TVs. Sony remained quiet as to its reasons, but LG cited lack of consumer interest. Curved TVs had been criticised for their narrower viewing angles, and also for being more expensive to manufacture than their flat counterparts. Neveretheless, some curved sets have fared well in our tests. Samsung's UE65KS9500, for example, scored a perfect five out of five. They're popular in China, too. And because a curved TV is such a premium product, Samsung makes a healthier profit from each unit sold. With sales rising, it's no wonder Samsung is keen to keep making them.